Prices and specification for the new rugged Rifter have been released. It will sell from €23,540, plus delivery related charges, for the Active 1.5 BlueHDi 75bhp, five-seater version. Equipped with the Peugeot’s unique i-Cockpit interior, the French carmaker says that it features high levels of safety and comfort equipment as well as new-generation petrol and diesel engines. Available in two lengths, with five or seven seats, Peugeot tells us that dealer demonstrator models have just landed to preview during its Drivetime event. It adds that customer orders are now open, and reminds us that the new Rifter comes with a five year extended warranty as standard. Built on Peugeot’s efficient new EMP2 platform, the new Rifter will be available with a choice of three trims: Active, Allure, and GT Line. There will be a choice of two petrol engines and four diesel engines: A 1.2 PureTech petrol 110bhp S&S 6-speed; a 1.2 PureTech petrol 130bhp automatic 8-speed S&S (April 2019 ); a 1.5 BlueHDi diesel 75bhp 5-speed; a 1.5 BlueHDi diesel 100bhp 5-speed; a 1.5 BlueHDi diesel 130bhp 6-speed S&S; a 1.5 BlueHDi diesel 130bhp automatic 8-speed S&S. Standard equipment on the entry level Active model, retailing from €23,540 plus delivery for the five seat version or from €24,490 plus delivery for the seven seat version, includes the 8” touchscreen, compact steering wheel, and customisable heads up digital instrument panel, Mirrorscreen connectivity, 16” wheels, full size spare wheel, tyre pressure monitoring, six airbags, air conditioning, 12 volt plug in row two, overhead storage, luggage cover, and a safety pack to include active safety brake, lane keeping assist, and speed limit recognition and recommendation. 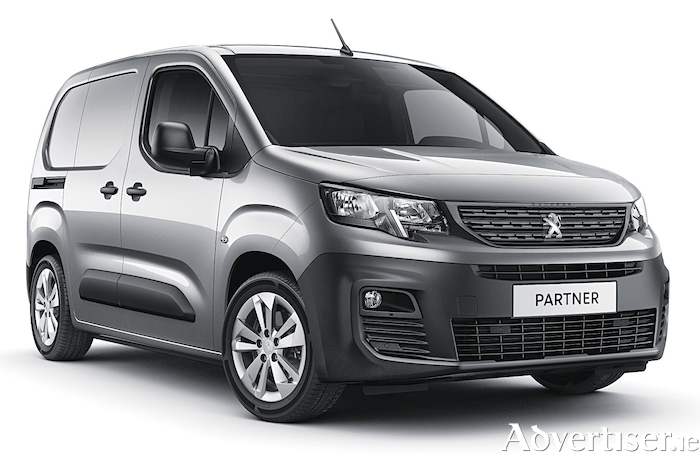 Peugeot has also released prices and specification for the award winning new Partner van range. Boasting a new exterior styling, it is the first light commercial vehicle in the range to receive the acclaimed Peugeot i-Cockpit interior. Customer orders are now open and it is also available to preview in dealerships during its Drivetime event, now on. It will retail in Ireland from €16,700, plus delivery related charges, or from €13,615 ex-VAT, for the entry=level ‘Access’ 1.6 BlueHDi 75bhp 650 KG level one model.